Recycling is just the start! 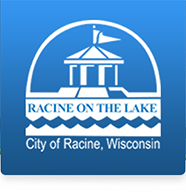 Beginning the week of September 18, 2017 the City of Racine will begin city-wide semi- automated solid waste collection using city issued 95-gallon solid waste carts, and rear-loading solid waste collection trucks with cart lifting equipment. Do not use your new carts until the week of September 18th. Our cart supplier is currently delivering all of our solid waste customers a black 95-gallon solid waste cart. If you have any questions you can also give us a call at 636-9126 or 636-9121. You can also contact Commissioner Mark Yehlen directly online here. How does the new cart work? All solid waste must be placed into the black cart for it to be collected. Anything outside of the cart will not be collected. All Solid waste should still be placed into a tightly sealed bag as you have done before. Implementing this new system will not change the day of the week that your solid waste is normally collected. As of this time we will still collect Solid Waste and Recycling in the alley just as we have done before. With the new system, if your regular pickup falls on a holiday your pickup will resume on the next business day unless that is also a holiday. Snow removal will take priority over solid waste and recycle collection. How can I get a smaller cart? Customers will be allowed to exchange the initially issued 95-gallon cart for a smaller cart, at no charge, after a six month trial period. Details on this process will be published in March 2018. How do I dispose of bulky waste? To provide our customers a means of disposing large items that can't be fit into a cart, the Department of Public Works (DPW) will provide pick-ups of bulky wastes to individual residential customers through a "call in" system, with four "no charge" bulky waste collections annually per residential unit served. If a residential unit requires more than these four bulky waste pickups, the property owner will be charged a $50 fee per 5 Yard Truck collection. To arrange a bulky waste pickup, residential property owners must call the DPW Field Office at:(262) 636-9126 to schedule a pickup. The Field Office will ask what materials are being collected so we can send the appropriate collection vehicle. We will then set up a collection date which will typically be on a different day than the customer's normal solid waste collection. Residential customers also have the option to bring their household bulky wastes to 1 of 3 "free" drop-off sites . Proof of residency is required at all sites when the items are dropped off. What do I do with my old trash can? If you want to dispose of your privately owned trash cans, place your empty cans next to your recycling (blue) cart with a note on it clearly marked you wish to dispose of it on a regularly scheduled recycling collection day during September and October of 2017. Yard waste will no longer be collected with your regular solid waste pickup. Yard waste can be dropped off at any of the Bulky Waste Collection sites free of charge during normal business hours, check the Bulky Waste Collection Page for details and what is accepted at each site. There are also plans to collect Yard waste once a month with your weekly solid waste pickup. More details will be provided once the plan is approved by the Common Council. For more information about Yard waste click here . What if I have a disability and cannot move my new bin? Disabled and elderly customers may apply to have their solid waste and recycling collected from their back door if no one in their household is physically able to carry their solid waste to the curb line or alley for collection. Application forms can be downloaded here . All Department of Public Works collections are scheduled on the same days of the week, every week. Not sure of your collection date? Use our handy look up tool to find out when your collection dates are, along with holiday pickups and special collections for leaves and Christmas Trees. You can also print a paper calendar and sign up for weekly reminders for collection. Solid waste/recycling material shall be placed at the curb, or within 10 feet of the alley line no later than 7:00 a.m. of the scheduled collection day, and no sooner than 15 hours before 7:00 a.m. (4 p.m. of the day before your collection day). All containers shall be removed by 7:00 p.m. of the day of collection. If your trash pickup day falls on one of these days there will be no solid waste or recycling pickup on that day. Your garbage pickup will resume the next business day provided that is also not a holiday. Your recycling pickup will also resume on the next business day again unless this is a holiday. Christmas Tree Collections For two weeks during the month of January, the Department of Public Works will collect Christmas trees at the curbline. Residents should watch the local newspaper for the schedule published after the New Year. All decorations must be removed from the trees before placing at the CURBLINE for collection. There is no alley collection of Christmas trees. PLEASE check your calendar sent out every January for the alternate dates provided. If you have any questions please dont hesitate to call us directly to ask!